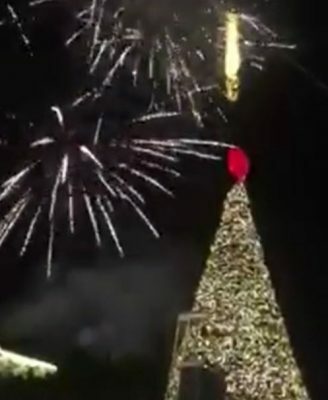 Christians across Palestine celebrate Christmas, with the feeling of peace and joy being weakened by the Israeli occupations’ constant violation of International Law, and disrespect for Palestinian human rights. Erekat condemned Israels’ approval of additional settlement operations, and thus more theft of Palestinian land and resources across the occupied territories, “for the benefit of Israel’s illegal colonial settlement expansion”, reported WAFA News Agency. The Secretary General accused Israeli Prime Minister Benjamin Netanyahu of expanding settlements to “appease the settlers”, and called the move “a part of his early election campaign”. 2,500 new settlement units and 2 ‘industrial zones’ were authorized for construction on Palestinian land, which Erekat stated was “part of Israel’s long list of violations of international law” citing United Nations Security Council (UNSC) resolution #2334. Passed on Dec. 20, 2016, UNSC resolution #2334, according to UN.org, states that “Israel’s settlements have no legal validity”, and are thus, in violation of international law. Erekat warned International Criminal Court (ICC) prosecutor, Fatou Bensouda, that any further delay in probing into Israel’s crimes, “will cost more Palestinians’ lives, land, resources, and more suffering and despair”.